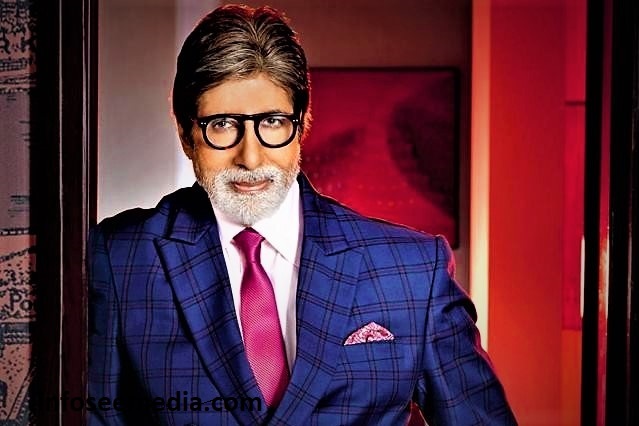 Amitabh bachchan is an Indian film actor, producer, playback singer, former politician, Television host and also he did several investments in startups. He was also got 4 National Awards for his acting, Other than this he was also honored by Padmashree and Padma Vibhushan also. Amitabh Bachchan borns on 11 October 1942 in Bhubapati village, Allahabad, Uttar Pradesh. His father is Harivansh Rai Bachchan who was a well known Hindi Poet and his mother is Teji Bachchan, she was a Social Worker. In earlier Amitabh’s parents named him as Inquilaab, because at that time of the freedom struggle, Inqilab Zindabad’s slogan was on hype. That’s why there parents give him that name. But after on to the request of his father’s friend, his father named him as Amitabh, Which means, a light that never ends. Amitabh did his early education in Allahabad’s ST. Mery’s School. He started his college education in Sherwood College, Nainital, Where he used to participate in acting along with studies as well. After finishing his studies from Nainital, he went to Kirorimal College in Delhi where he completed his graduation. After that, he searched for jobs at many places in Delhi, but he didn’t get. At that time one of his friend told him to apply for voice narration job in All India Radio. Where his voice was rejected as fat and crappy. Due to those rejections he left Delhi and moved towards Kolkata with their friends, where he spent almost 5 years of his life, and there he also worked for many private companies in with very little salary to live his life. But a thoughts runs every time in his mind that, ” God was made him for acting”. That’s why in 1968 he came to Bombay to work in film industry. He got his first job in film as voice narrator for the movie Bhuvan Shome. He got his first chance in Lead role in 1969 in Saat Hindistani movie, but unfortunately this movie went flop. Then in 1970 he worked in Bombay Talkie and in 1971 he worked in Parwana movie, but these movies are also went unsuccessful. After this he again get chance to act with Superstar Rajesh Khanna in Anand movie and then he shown his best acting. He was awarded Filmfare Award for Best Supporting Role Male for that acting. Now people started liking him, but his real success starts after his 13th movie Zanzir, where he acted his first negative role. This film was the story of an orphan, who sees the murder of his parents, and grow up and become a police officer. This film was one of the most successful films of that time. After this movie Amitabh Bachchan become superstar in overnight, and he known as “angry young man” in among the people. And the success of Amitabh’s film career started. And then he entertained the audience with one after one super hit films. On 26 July 1982, while filming Coolie, Amitabh Bachchan suffered a near fatal intestinal injury during the filming of a fight scene with co-actor Puneet Issar. Bachchan was performing his own stunts in the film and one scene required him to fall onto a table and then on the ground. However, as he jumped towards the table, the corner of the table struck his abdomen, resulting in a splenic rupture from which he lost a significant amount of blood. And his condition become very critical, but the doctors work and fans prayers saved him. After this his movie released and become highest grossing movie of the year. After the injury, he felt that he would no longer be able to work in films, that is why he joined politics in 1983. But he could not sustain much in politics. And then in 1988, he comeback to the film industry with Shenshah Movie. But after that, he found disappointment in every movies. And then the Mohabbatein movie that came in 2000 helped her save her drowning career. After this he steps towards to the TV shows and his hosted show KBC (Koun Banega Crorepati) breaks all record of TRP. Real Name Amitabh Harivansh Bachchan. Nicknames Big B, Munna, Angry Young Man, Shahenshah of Bollywood, Amith, AB Senior, One Man Industry, Superstar of the Millenium, The Last Emperor, Mahanayak, Amit Ji. Birth Place Allahabad, Uttar Pradesh, India. Occupation Actor, Producer, Television Host, Playback Singer, Former Politician. Figure Measurements (Approx.) Chest: 40 Inches. Hair Color Salt & Pepper. Shoe Size 11 Inches (US). School Jnana Prabodhini school, Allahabad. College Sherwood College, Nainital, India, Kirori Mal College, New Delhi, India. House 3: ‘Janak’ is another property that used to the Bachchan family’s first house which they bought in 2004. Office Address AB Corp. Ltd., A/102, Parimal Apartment, Off Juhu Lane, Andheri West, Mumbai, Maharashtra, India. Father Harivansh Rai Bachchan (Poet). In Picture: Amitabh Bachchan with his father, mother, brother and wife. Died: 21 December 2007.Step-Mother: Shyama. Other Celebrity Relatives # Actor Kunal Kapoor is the niece of Big B. Kunal married to Amitabh Bachchan’s younger brother Ajitabh Bachchan’s daughter Naina Bachchan. # Amitabh’s daughter Shweta married to legendary actor Raj Kapoor’s grandson and a businessman, Nikhil Nanda on 16 February 1997. Production House Amitabh Bachchan Corporation Ltd (ABCL). Other # The family owns a bungalow ‘Vatsa’ that has been leased to Citibank. # A bungalow located behind the family’s primary residence Jalsa worth Rs 50 crore. # As we all know Amitabh is one the richest actors in the Bollywood industry, he has many real estate assets in Indian and outside Indian. Bofors Scandal His name appeared in the ‘Bofors scandal’ in which he was later declared not-guilty. The Bofors scandal was a major, weapons-contract political scandal that occurred between India and Sweden during the 1980s and 1990s. Amitabh Bachchan was accused of corruption in the scam. Love Triangle There are rumored that Amitabh had a romantic relation with actress Parveen Babi, Zeenat Aman, and Rekha. Since the time Rekha started wearing sindoor very often in various functions, peoples are obedient to think that Rekha and Mr. Bachchan got married secretly. Their affair started during their first film together ‘Do Anjaane (1976)’. They did a total number of 10 films together until their last film ‘Silsila (1981)’. Children Son: Abhishek Bachchan (Actor). Daughter-in-law: Aishwarya Rai Bachchan (Wife of Abhishek Bachchan). Daughter: Shweta Bachchan Nanda (Designer, Businesswomen). Grand Children Navya Naveli Nanda, Agstya Nanda, Aradhya Bachchan. Favorite Food Sweets, Bhindi Sabzi, Jalebi, Kheer, Gulab Jamun. Favorite Movie Bollywood: Kaagaz Ke Phool (1959), Ganga Jamuna (1961), Pyaasa (1957), Sholay (1975). Hollywood: Gone With The Wind (1939), Black, Godfather (1974), Scarface (1983). Favorite Musician Lata Mangeshkar, Kishore Kumar. Favorite Holiday Destination London, Switzerland. Likes & Dislikes Likes: Collecting Pens, Collecting Watches, Travelling. Salary (Approx.) Per Ad: ₹50 Lakhs – 1 Crores (INR). Per Film: ₹15 – 20 Crores (INR). Net Worth (Approx.) $425 Million (US). – According to The Richest. Car Collection Bentley Arnage R, Lexus LX 470, Mercedes-Benz SL 500 AMG, Porche Cayman S, Range Rover SUV, Mini Cooper, Rolls Royce Phantom, Toyota Land Cruiser, BMW 760Li, BMW X5, Mercedes Benz S320, Mercedes Benz S600, Mercedes Benz E240. More update come with a new post soon. Debut Bollywood: Saat Hindustani (1969). Hollywood: The Great Gatsby (2013). Producer Debut: Gulabi (1996) – Telugu Film. Tere Mere Sapne (1996) – Hindi Film. TV Debut: Kaun Banega Crorepati – KBC (2010). Kaun Banega Crorepati – KBC (2010).